Settled by the Dutch and claimed by the English, New York, from the start, was “a Babel of peoples—Norwegians, Germans, Italians, Jews, Africans . . . Walloons, Bohemians, Munsees, Montauks, Mohawks, and many others,” writes author Russell Shorto. This early diversity and the blending of so many cultural influences inspired a rich variety and legacy in New York cabinetmaking evident in Winterthur Museum’s holdings of furniture made in the Empire State between 1650 and 1850. Opening in the Winterthur Galleries on March 1, the exhibition Cultivating Style in a Multiethnic World: New York Furniture, 1650–1850, features a selection of objects from the collection, including works by renowned cabinetmakers Duncan Phyfe and Charles-Honoré Lannuier—objects that will tell the story of the state’s development from modest beginnings to the epicenter of furniture production in the United States by the 1850s. 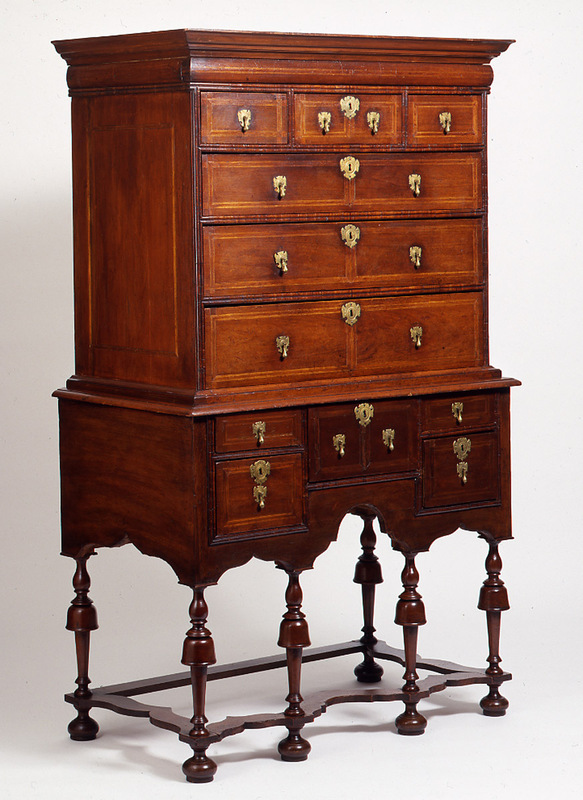 Also forthcoming is the 2015 Sewell C. Biggs Winterthur Furniture Forum: From New Netherland to Empire State: New York Furniture, March 4–7, 2015, which will feature curators, conservators, historians, and decorative arts consultants who will explore how the furniture of New York reflected the colony’s early cultural diversity and subsequent mercantile and industrial development. Introducing the contextual basis of the related above-mentioned exhibition is Russell Shorto, author of the national bestseller, The Island at the Center of the World. In The Wendy A. Cooper Furniture Forum Lecture: “Island at the Center of the World,” Shorto will share the story of New Netherlands and give a glimpse into an early America that many of us were not taught in history class. Other speakers in the terrific lineup at this year’s Furniture Forum will share how the furniture and interiors of New York demonstrate this rich diversity with elaborate Dutch-inspired turnings, solid English construction methods, French sculptural carving, and Germanic painted decoration. Here is a sneak-peek at three objects featured in the exhibition and at the forum, where Winterthur curators and conservators will give share insights and in-depth studies. You can consider each of them more closely while they are on display in the Galleries. Henry Francis du Pont acquired a kas from the Merrick, Long Island, estate of Dr. George Mott Hewlett in 1952. This piece was taken apart and reassembled when it arrived at Winterthur and has been in the Oyster Bay Room here since it arrived. For the first time since its installation 63 years ago, in preparation for this exhibition, it has been disassembled for study and conservation, allowing the Winterthur staff to examine the back and the underside more closely. 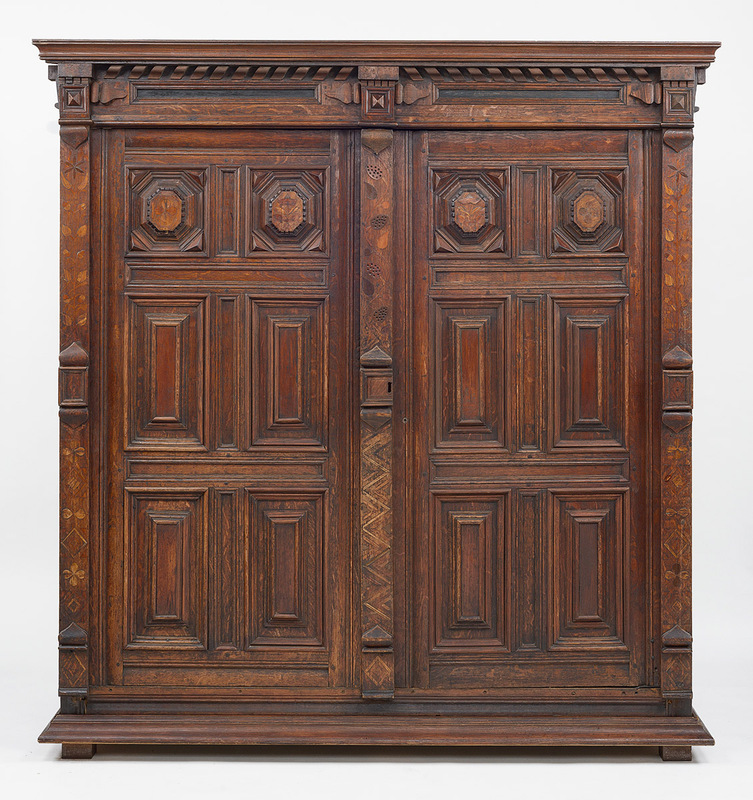 As evidence of the multicultural influences in New York at this time, the kas, which is much like a modern-day armoire, was a form popular in the Netherlands, and its Dutch colonies, as well as in Germany; however, in England and the English colonies, it was never popular. 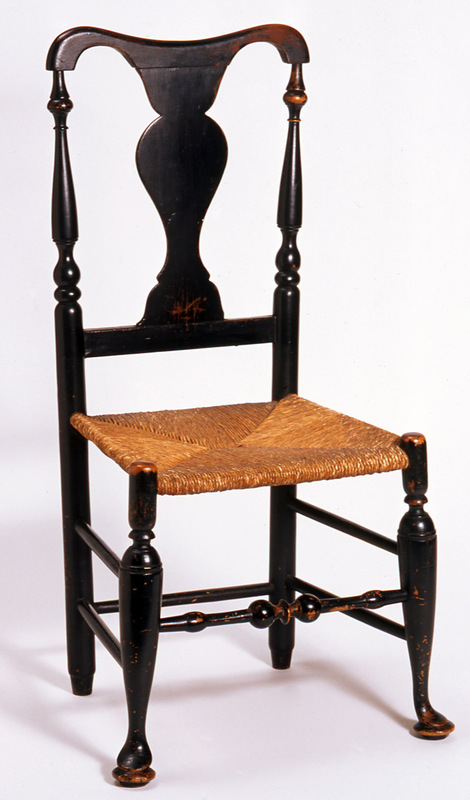 An example of a form commonly referred to as the “Hudson River Valley chair,” this side chair was made by David Coutant (Coutong), who most likely apprenticed with his father, Huguenot chairmaker Jacob Coutant (1722–1794). While these chairs were first made in New York City, where Coutant worked, and in the Hudson Valley, they reflect a hybrid aesthetic combining English and Dutch elements. This particular form became popular in the 1740s, was copied by chairmakers in Long Island and on the Connecticut coast (where they were called “York chairs”), and remained in production until the 1830s. 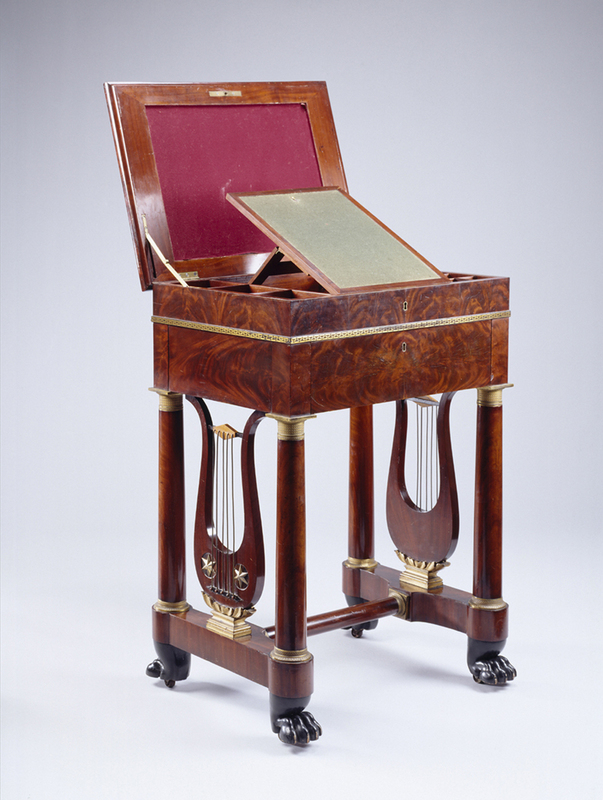 Charles-Honoré Lannuier (1779–1819), work table, mahogany; mahogany, maple, rosewood veneer; white pine, tulip-poplar, gilded brass, die-stamped brass borders. New York, New York, probably 1817. Museum purchase with funds provided by Henry Francis du Pont. 1960.0006. This work table was made by French ébéniste (cabinetmaker) Charles-Honoré Lannuier, who trained in Paris and specialized in expensive, fashion-forward veneered furniture. It shows evidence of yet another cultural influence in New York furniture. Lannuier emphasized his French background in his marketing to reinforce the perception of sophistication, and his high-quality workmanship earned him a place among New York’s fashionable cabinetmakers, attracting clients as far as the American South and the Caribbean. Join us March 4–7, 2015, at the 2015 Sewell C. Biggs Winterthur Furniture Forum: From New Netherland to Empire State: New York Furniture, for the opportunity to learn more about each of these and more objects as well as optional tours and workshops available during the conference. Call 800.448.3883 or visit winterthur.org/furnitureforum to register or learn more. Cultivating Style in a Multiethnic World: New York Furniture, 1640–1860 was organized by Joshua W. Lane, Lois F. and Henry S. McNeil Curator of Furniture at Winterthur. A book of the same name, also by Lane, will be available in the Winterthur Bookstore as of March 1. If you are interested in learning more about Russell Shorto’s book, The Island at the Center of the World, which The New York Times proclaimed would “permanently alter the way we regard our collective past,” read the interview with Russell Shorto on the Random House website or visit Shorto’s website. And look for more information to come on our website on the Winterthur exhibition, Cultivating Style in a Multiethnic World: New York Furniture, 1640–1860. This entry was posted in Conferences, Decorative Arts, Furniture and tagged Charles-Honore Lannuier, Cultivating Style in a Multiethnic World: New York Furniture 1650-1850, David Coutant, Duncan Phyfe, Empire State, Furniture Forum, Furniture Forum 2015, Furniture Forum From New Netherland to Empire State New York Furniture, George Mott Hewlett, H. F. du Pont, Harry du Pont, Henry Francis du Pont, HF du Pont, Jacob Coutant, Joshua Lane, Kim Collison, New York Furniture, Russell Shorto, Sewell C Biggs, Sewell C Biggs Furniture Forum, Wendy A Cooper, Winterthur, Winterthur Library, Winterthur Museum, Winterthur Museum Garden & Library. Bookmark the permalink.